NOW We’re All Moved In – Random. Structured. Haphazard. All Me. I found a house lizard a few minutes ago. Seven months and all my hopes of having a lizard-free house go down the drain. Aren’t lizards even prone to vertigo? Am on the seventh floor for cryin’ out loud! But on the bright side we got to see a hot air balloon being blown up right in front of our eyes. 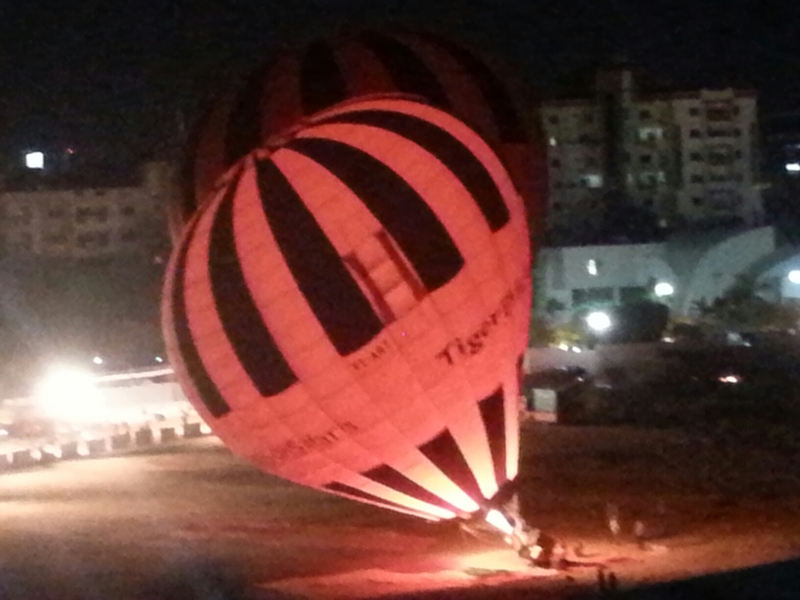 This is a picture of the balloon illuminated because of the flames.